Sold Out (details) This item is sold out and no longer available to order. From the Netflix series, Aggretsuko steps off the screen! 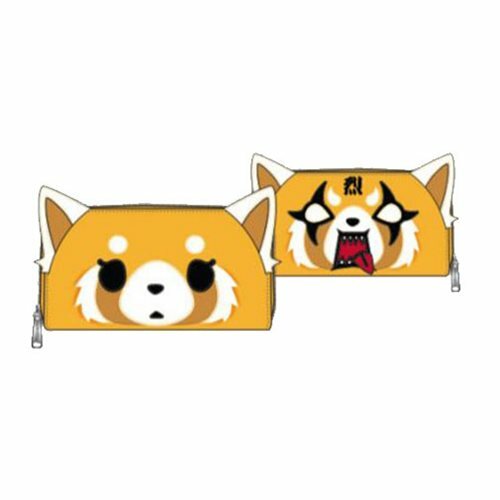 This Aggretsuko 2 Face Zip-Around Wallet is made of faux leather with applique and debossed details. It measures approximately 8-inches x 4-inches and each side shows a different face! "I have had nothing but great service from Entertainment Earth. Variety, preorder, stuff I'm looking for. Prices are fair. It's my first stop shopping place for all toys & collectibles." "I have had nothing but great service from Entertainment Earth. Variety, preorder, stuff I'm looking for. Prices are fair. It's my first stop shopping place for all toys &..."